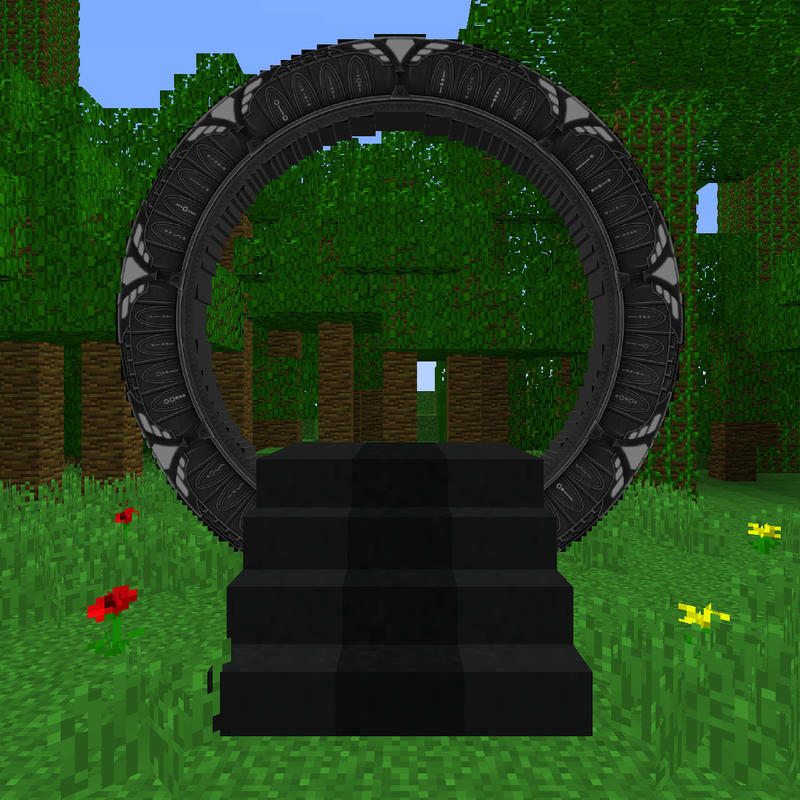 Stargates In Vanilla Minecraft was a command creation initially released for Minecraft 1.9 and since then has updated to 1.10 and 1.11. This is the newest release of the creation and this page will now be the main hub for all of Stargates In Vanilla Minecraft. Make sure the module is in your spawn chunks. To install the creation, open the .zip file and copy resources.zip and the folder called structures into your world folder or \AppData\Roaming\.minecraft\saves\<WorldNameHere>. when that is done, open the world and place a structure block in the world (To get a structure block, do the command /give @p structure_block) set it to load and load StargateMain. When the structure is created click the button with the sign saying "Add Scoreboard Objectives"
Everything is now running. I hope you enjoy. The stargates module will run lots of commands and slow down your game greatly. To fix this there are some basic commands and internal functions of the module you can run. /gamerule commandBlockOutput false -Prevents command logs from appearing in the chat. /gamerule logAdminCommands false -Stops the commands from appearing in a server console or crash logs. Hello, how to get the DHD with commands please? Because, I tried to throw "redstone dust, stone button, iron block and rose red" like in your video but nothing happens. I didn't receive the egg to spawn the DHD and items are still on ground. Otherwise the gates seems to work and they spawn correctly, with a bit of lag tho (need around 5sec delay before the sound and the light come from the gate). I'm on vanilla 1.12.2 also, I'm getting no more than 10-15fps inside the main structure, is it normal? I have a fairly high end computer... So I'm a bit surprised here. I would put it in the customization section but the mods section would get more views. On top of that, this has the same functionality as a mod just without java and forge. So I get your point and that is where the other copy's have gone but it makes more sense for it to be in mods. It appears you put this in the wrong section. Instead, you likely wanted to put this command block creation in the Customization section.